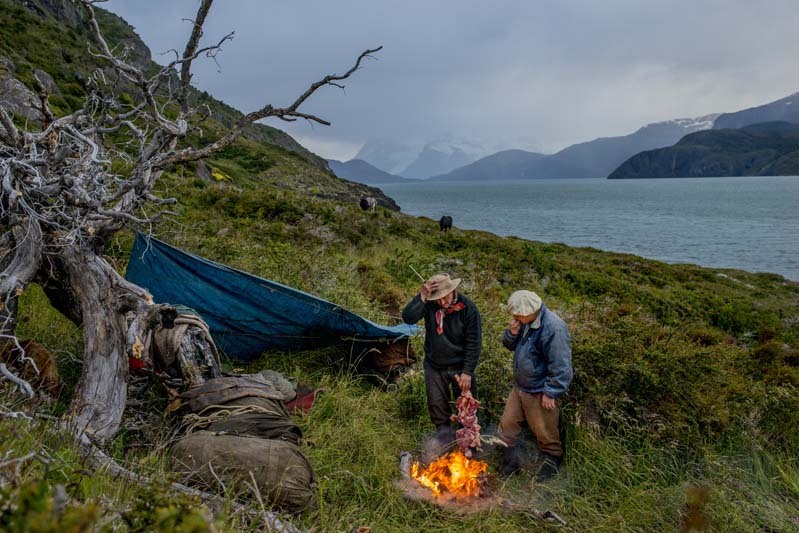 Bagualeros Abelino Torres, left, and Jorge Vidal cook meat in front of their "tent" on their way to the hunting area. in Peninsula Antonio Varas, Chilean Patagonia. January 5, 2014.